This chicken pasta recipe comes complete with list of ingredients, directions, nutrition and Weight Watchers Points. So no matter what diet plan you are following, you can use the information below to track what you need. 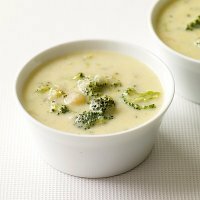 This dinner is healthier as the alfredo sauce is made using low fat ingredients. With the creamy taste of the sauce and parmesan cheese you will be delighted at the taste of this meal. Plus with the added chicken and veggies, you get all the main food groups in one dish. Make this casserole recipe for dinner tonight. Serve it with a tossed salad and some garlic bread to complete this meal. Place cottage cheese, yogurt and garlic in a blender. Stir in the lemon zest and black pepper. Let the sauce set at room temperature for 25 to 30 minutes. 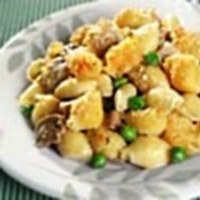 Combine pasta, sauce, chicken, peas and mushrooms in large bowl. Combine cheese and breadcrumbs in small bowl. Sprinkle breadcrumb mixture over pasta. The chicken breast and veggies were not used to calculate the Freestyle SmartPoints. The yogurt is included as it is low fat, not non-fat. The veggies are not included in calculating the other points. You can use 2 jars of Alfredo sauce instead of the substitute if you prefer. Just make sure to adjust in the nutrition and Weight Watchers points information. 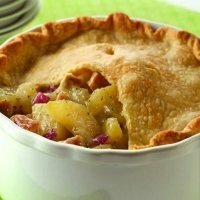 This pot pie adds the surprising flavors of apples and cranberries making this comfort food extra special. 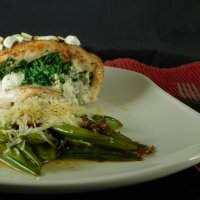 This meal is stuffed with spinach and goat cheese giving it a creamy delightful taste. 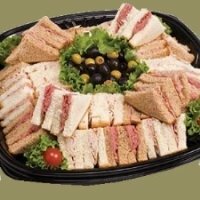 Make up some mini sandwiches with a chicken spread for a snack or light lunch. Start your meal off with this hot and tasty soup to warm you up and delight your taste buds. 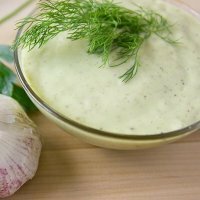 Try out this salad dressing for a creamy but low fat topping. With only 1 SmartPoint you won't feel guilty about using it. 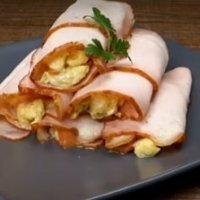 This breakfast recipe is WW FreeStyle friendly as it uses turkey breast deli meat instead of ham. Eating healthy not only helps you lose weight but has many health benefits as well. Use these tips to change your eating habits into healthy habits. If you are following Weight Watchers then this is a must have spreadsheet. You can track food points, activity points and your daily and weekly allowances. Exercising at any age is important. But as we age, it becomes even more important for our health. Check out these senior exercises to keep you fit and active.